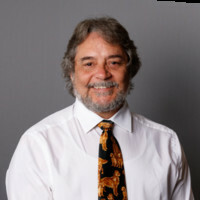 Robert “Bob” Wigley is a professional investigator licensed in Florida and Georgia and President of Distinctive Investigations LLC. He also serves as a Legal Investigator for McMahon and Associates Detective Division a Florida licensed agency established in 1991. Bob is also a Certified Missing and Exploited Child Investigator (CMECI) and is on the Board of Directors of the National Association of Missing and Exploited Children (NAMEC). He also serves as a member of the Tactical and Strategic Field Operations Team for Laura Pettler and Associates, the only victim-centered scientific death investigations firm in the world. Bob served in the US Air Force for 34 years, 21 years active duty and 13 years as a civil servant. The last 18 of service was with HQ Air Force Special Operations Command. Bob is a graduate of the Criminal Defense Investigation Training Council (CDITC). He is trained in Scientific Content Analysis (SCAN) of statement analysis. He is also a Certified Missing and Exploited Child Investigator (CMECI).